 Mighty Lights illuminates Big River Crossing and Hernando de Soto Bridge for organizations, events, and causes that matter to our community. As a privately funded 501(c)3 organization, Mighty Lights uses the revenue from these requests to help support the operation of the bridge lights. If you are interested in customizing the nightly display, please submit the following information. Join us for the biggest nightly light show on the Mississippi River. At the top and middle of each hour after sundown until the 10pm finale.